While it is important to pay attention to the latest stories about cybersecurity threats, it is even more critical for your company to prepare a comprehensive security roadmap that will provide guidance on how to best guard against these real threats. Whether on your own or with the assistance of a proven IT Support partner like Network Depot, the creation of a security roadmap provides an indispensable, protective tool for companies of all sizes. A recent analysis of security threats found that more than 40% of cyberattacks focus on small businesses. Many small businesses are specifically targeted because they don’t have a security roadmap in place to deter attacks. One of the key concepts to grasp about a security roadmap is that it is not static, but rather must constantly be reviewed and adjusted to ensure that your cybersecurity process is up-to-date and protecting your company’s most valuable assets. Your company should take the time to carefully catalog all your critical data and the IT systems you use to receive, store, process, and output data including: desktops, laptops, servers, routers, switches, handheld devices as well as all data access points such as through reports and information emailed to clients. After identifying your critical data and assets, you should also keep track of the resources you have designated to protect them including: anti-malware software, firewalls, and any IT personnel or outsourced team members. A critical oversight that many companies make is not completely utilizing the tools and resources they already have in place to protect their critical data and assets. For example, simply installing a firewall is not nearly as effective when it is not expertly configured and monitored. The same goes for anti-malware software that hasn’t been properly updated and tech employees who haven’t been properly trained. In short, make the best use of the tools and resources you already have to best protect your critical assets. After identifying your critical assets and protective measures, you can then make an objective assessment of their vulnerabilities through regular system scans and reviews. It is also important to stay alert to cyber threats that may particularly affect your industry. Companies can obtain incident reports from their Internet Service Providers and state or local offices focusing on cybersecurity issues. These reports will summarize the types of attacks (such as hacking and malware) along with the motives of the activities (such as financial or political). Using an assessment of the risks, your company can then consider the costs of protecting from or responding to various cyberattacks. 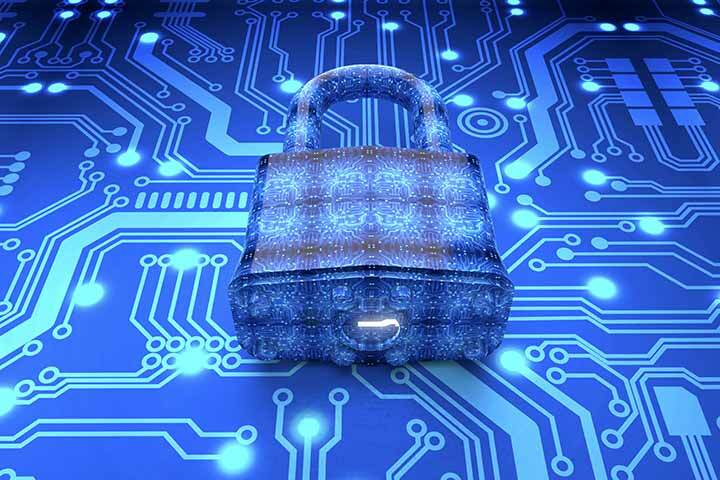 It is important to prioritize the assets that need protection and then utilize the most cost-efficient ways to protect your company from the most likely and damaging threats. All companies have limited budgets so it is important to identify the most likely and costly threats to the most important assets and to then allocate sufficient resources to protect them. One important consideration is not to spend money on costly programs, resources or other tools without having the proper training and ongoing support to use them effectively. Your company must take the time to formally prepare and distribute a concise but comprehensive cybersecurity policy that employees, vendors, and customers must follow. Key aspects of such a policy clearly state that only pre-approved employees can have access to certain company data. It must also be made clear that a robust identity access management system is in place to protect access to all parts of the company network. Your company should also take the time to make your vendors and customers aware that you will only do business with them if they also follow strict information security policies. Security education is another critical component of your overall security roadmap. After you have taken the comprehensive steps outlined above, your company’s next task is to inform and educate your employees and partners about your cybersecurity policies. An important part of this education is explaining why following these policies is so crucial and what the negative consequences of non-compliance would be. For example, to impress upon them the importance of following strong password procedures, your policy announcement could emphasize that more than 60% of data breaches are a result of weak or stolen passwords. Your company should also pay attention to the latest security measures and methods recommended by respected companies such as Microsoft and Adobe and incorporate them into your educational efforts. It is important to understand that your company will need to periodically assess your security roadmap and its accompanying processes to ensure that you are protected. Regular tests of your company’s security measures should be carried out either internally or with the help of an outside contractor. In addition, special attention should be paid to monitoring the latest cyber threats, especially the ones that might specifically target your line of business. Your company should also make it clear that it always welcomes the reporting of cybersecurity incidents as well as suggestions for improvement from your employees and partners. For assistance in preparing a security roadmap and any other IT-related issues, please contact us here at Network Depot.